It was the usual formal affair, with plenty of luminaries, movers and shakers in the grand ball room. The hosting Marriott is the largest in their formidable chain, and features a restaurant that gradually turns 360 degrees. Performers for the concert were Ashford and Simpson, Sam Moore, Bill Medley, Boz Scaggs, Chrissie Hynde, Jimmy Jam Harris, Dwight Yoakam, Dominic Chianese, and Trisha Yearwood. 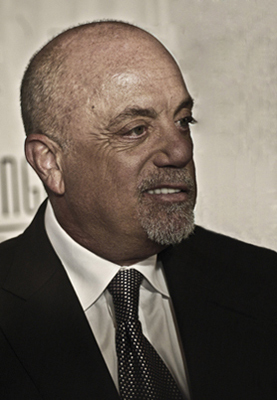 As always, the concert segment was produced by Phil Ramone, who’s produced a string of records by Billy Joel, among many others. It was Joel that presented Garth Brooks with his award. All in all, it was the usual festive and congratulatory scene that it has been since being established in ‘69. It was songwriter Johnny Mercer and music publishers Abe Olman and Howie Richmond that founded it. Songwriting is, of course, at the core of all original music, and it’s an art that merits such an event. This is especially salient given that so much of the music of this era sounds too much alike and is much more of a producer’s medium than it was in the glorious years of the ‘60’s and ‘70’s from which this esteemed and eclectic gathering of talent was born.